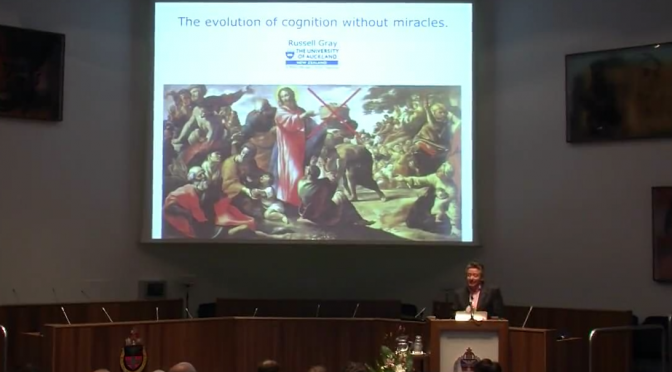 You can watch Russell Gray give three lectures about evolutionary approaches to language, cognition and culture at this year’s Nijmegen lectures. Gray covered a huge range of studies from tool use by New Caledonian Crows and crafting stone tools by hominids to quantitative work on historical linguistics and charting the evolution of political systems. Previous Previous post: Happy Darwin Day!